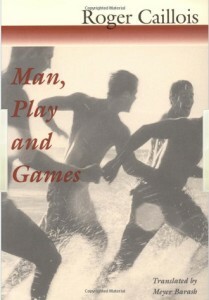 Roger Caillois was a French sociologist, philosopher and author who had many key theories and ideas on the aspects of play that he explains in his book man, play and games, which I have been reading. He defines play as free, separate, uncertain, and unproductive, yet regulated and make believe. He came up with the idea that all games can be categorized into 4 different categories, these are as followed..
Agon – Competitive – E.g football, call of duty, gears of war, Wow, fifa, gta 5, monopoly, chess etc. There are many different games that fall into the agon category iv’e listed just a few off the top of my head above. Caillois describes competition in play as the constant search for equality so that you can determine who has the greater skill, the equality is important because if it is a complete miss match in skill it isn’t really a competition. In video games they have become way more popular since the introduction of online play. The vast majority of games have some sort of online competitive multiplayer with leaderboards to determine who has been the best player. Even games where you don’t have online multiplayer can also be competitive because of the achievement system now, you compete to get more achievements then your friends. Alea – Chance – E.g poker, roulette, heads or tails etc. Games of chance are often associated to gambling but can also be within other games. Caillois talks about the player being passive and that it is down to fate rather then a players skill when he talks about games of chance. This is in contrast to competitive games which are all about skill and hard work, video gamers don’t normally like chance in games because of this fact and it explains why I can’t think of many video games for this category. Illinx – Disorientation – E.g super hexagon, blinds man bluff etc. “The pursuit of vertigo and which consist of an attempt to momentarily destroy the stability of perception and inflict a kind of voluptuous panic upon an otherwise lucid mind” this is how Caillois describes illinx. Super hexagon is a really good example of this in a video game because it’s really confusing with the bright colours and quick moving shapes, it does everything to try and disorientate the player. Iv’e noticed disorientation in games like gta where you can get drunk and not have full control over the character and call of duty where a flash bang will make it so you can’t see or hear properly, but not often as the main component of a video game. Mimicry – Copying (mimicking) – E.g role playing games, bop it, dungeons and dragons etc. Mimicry is arguably the most popular of categories in video games because the majority of the time you take control of a character or persona to complete a mission or a quest. It can be used to escape ones own reality and do things that aren’t possible in real life which is the reason it is popular. Caillois studied mimicry very extensively and he describes that all play presupposes the temporary acceptance, if not of an illusion, then at least of a closed, conventional, and, in certain respects, imaginary universe. So at it’s most basic he see’s that all games are categorised into mimicry.